OWW restores and repairs wood window sashes for property owners and developers. At our workshop we accept sashes from restoration contractors. Goshen Town Hall last phase of restoration: windows. We work with City Hall facilities staff, historical commissions and architects on projects throughout Western Massachusetts. 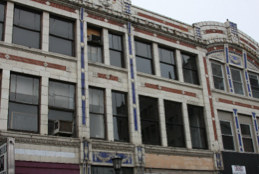 Develop Springfield’s Innovation Center, Bridge St. created 2 full-time jobs for women Window Restoration Trainees. ​Public officials who are revitalizing their city use OWW for local job creation, to reduce landfill use, and recycle every tax dollar back to the community in wages.